As various software services migrate to the cloud, Accton’s dedicated engineering teams are surging ahead to develop open, software-defined network (SDN) platforms that will provide the foundation of the emerging next-generation networks. Part of this development involves the transformation of WAN networks into software-defined WANs (SD-WANs). Most traditional WANs use Multiprotocol Label Switching (MPLS) networks to link remote sites to a central data center in what is essentially a private, static architecture. These networks are expensive and complex to set up and operate, and are known to be networks lacking flexibility and scalability. SD-WANs employ the concept of abstraction to define software capabilities that are independent of the underlying hardware, enabling software services and applications to run over various networks and bring a high level of flexibility and agility. Rather than just replacing existing MPLS networks, SD-WANs operate as an “overlay” on all old and new network links, delivering a secure, reliable business-grade performance that organizations demand. Typically, SD-WANs are deployed as edge appliances or as a service. Edge appliances are installed at every location and connect to MPLS networks, the Internet, and often other networks (Wi-Fi, LTE/5G etc.). These edge appliances have also been evolving into flexible Universal Customer Premise Equipment (uCPE) devices that perform Network Functions Virtualization (NFV), security, firewall, and other services. 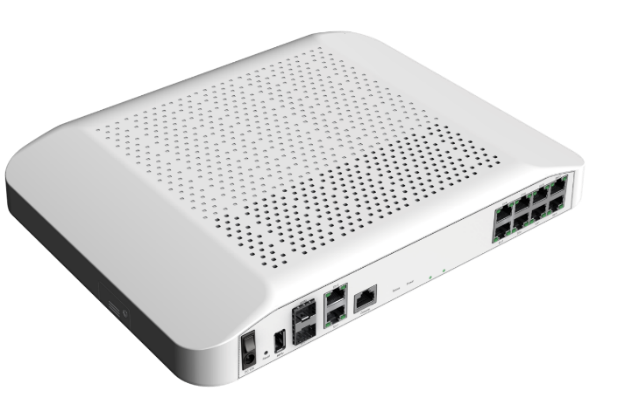 Based on open hardware, a uCPE is a network appliance that can be automatically provisioned, authenticated, and configured from a central location without requiring administrator installation. 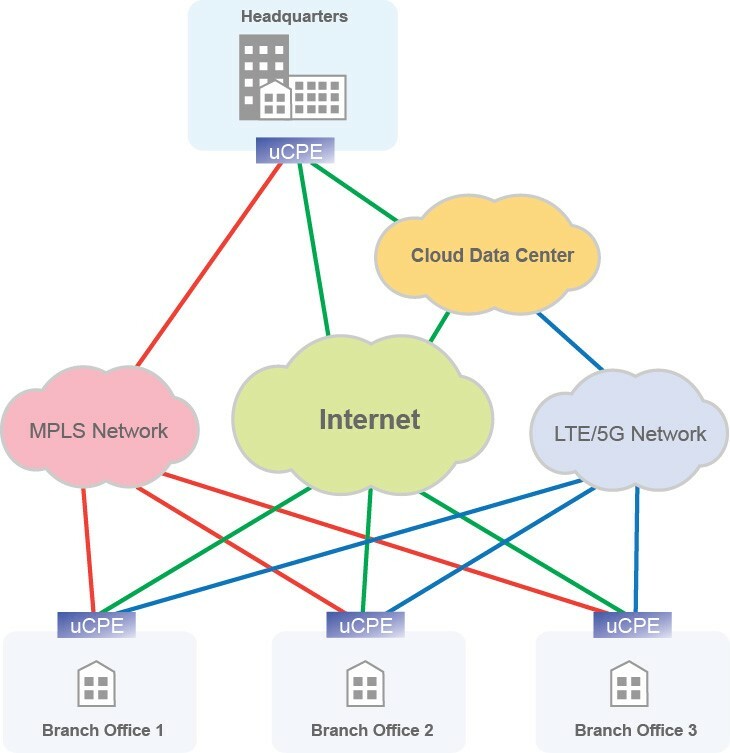 With optimum flexibility and cost-effectiveness, uCPE devices provide a secure virtualized network that can support a range of services and applications at either an enterprise data center, at branch locations, or in the cloud. Accton’s open, software-defined network solutions offer a line of flexible SD-WAN/uCPE appliances that can function as middle to high-level network computing hardware platforms. These devices are based on NXP ARMv8 processors that deliver high-performance general computing power, network virtualization, crypto engines, and high-bandwidth network throughput that can support demanding NFV services. The platforms are truly open, either install an available operating system and application software that suits your needs, or build your own customized security device that represents a solid future-proof investment. The VED2181F is a high-performance open virtual edge appliance platform based on ARMv8 processor with packet processing acceleration and high-speed peripherals. The VED2181F hardware platform supports a range of Gigabit Ethernet interfaces, memory, storage configuration, and optional Wi-Fi and/or LTE connectivity. The design includes internal eMMC, M.2 and 2.5″ disk drives, all contained within a desktop or 19” 1U rack-mount form factor. The VED1141F is a cost-effective ARM-based hardware platform for small remote branch offices, home offices, and telecommuter entries. The design includes inexpensive storage expansion options via an onboard eMMC and/or an SD card slot, and optional Wi-Fi and/or LTE wireless connectivity. 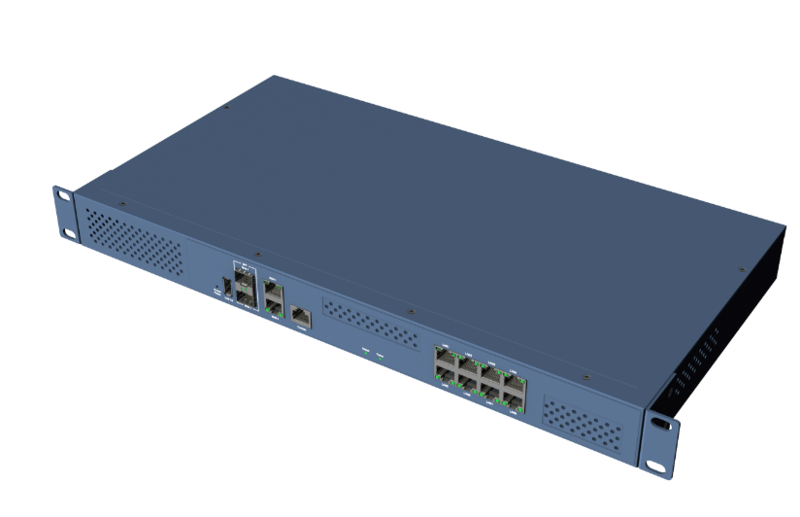 The device supports one 1GE RJ-45 copper uplink and 4-port 1GbE RJ-45 copper LAN interfaces. The following table provides a summary of Accton’s SD-WAN/uCPE solution platforms.